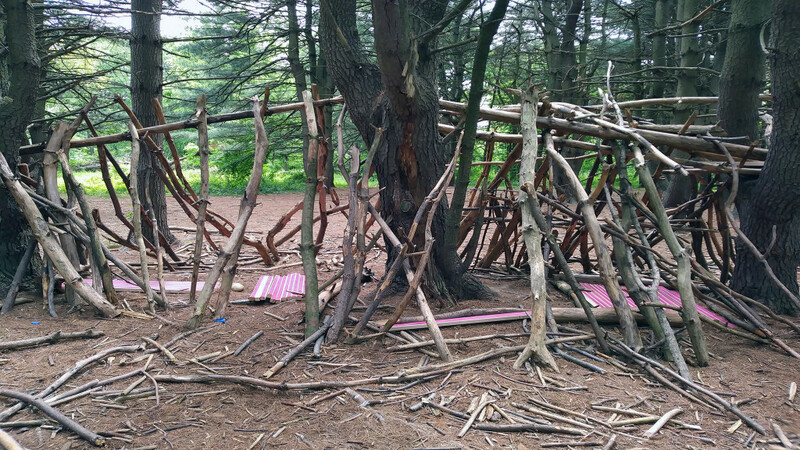 Back in May, Sau Pines was created to celebrate the spirit of the Pine Grove — as part of the Schuylkill Center for Environmental Education’s Making in Place exhibition — which featured the work of 14 different Art in the Open artists. The installation itself consisted of a series of visual tree wraps to highlight some of the unique environmental characteristics of the Pine Grove. 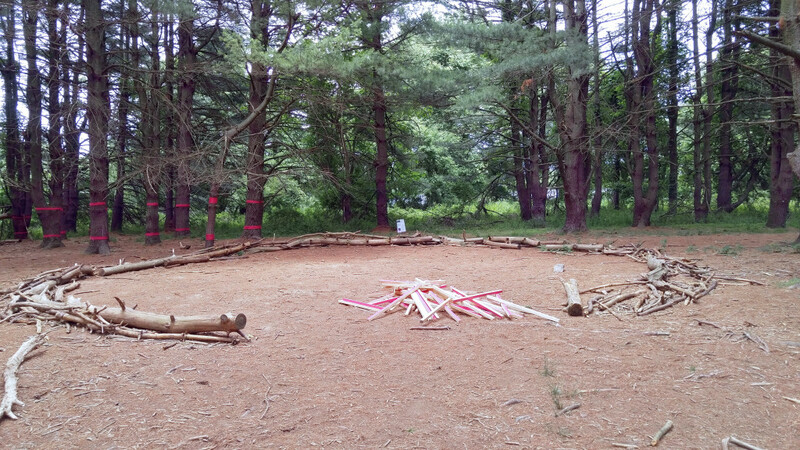 A series of matching colored timbers were also distributed throughout the Pine Grove to activate visitor interaction within the context of the broader landscape of the Schuylkill Center throughout the season. And the universal consensus is that the work was both well received and well used all summer! 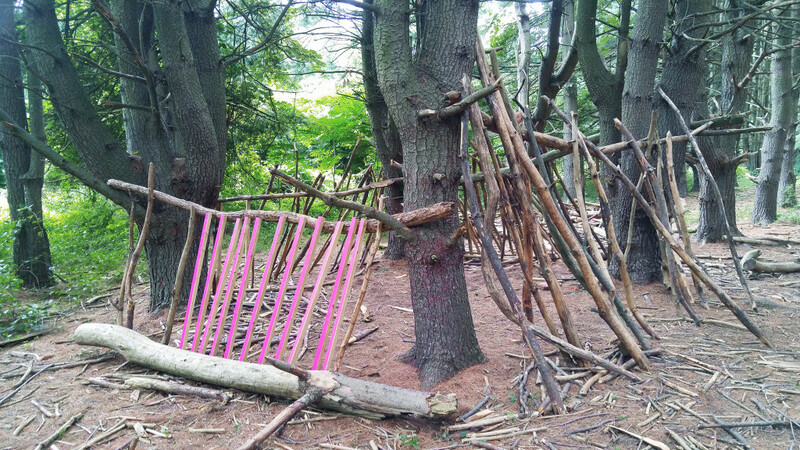 As result of all this feel-good reading, I am extremely pleased to write that the Sau Pines numbers will remain in the beloved Pine Grove though the end of the year, to continue to inspire playful creation and ongoing inquiry and engagement! A more personal note, this project resonated very closely with my own creative mission which tends to focus on creating work to facilitate access, increase awareness, and highlight lesser-appreciated environs — because at the end of the day, these characteristics are at the root of stewardship and these sensibilities are at the core of all things related to environmentalism and general environmental considerations. Thank you the Schuylkill Center and to everyone who worked to ensure Making in Place would be such a success. I am grateful for having had this opportunity to explore the potential of art to incite creative interest, inspire environmental inquiry, and increase general awareness in the Pine Grove. Aaron Asis was born and raised in New York City and spent most of his childhood exploring its neighborhoods, its people, and its streets. Over the years, the se explorations have escalated from an experiential curiosity in urban conditions to an intellectual fascination in promoting spatial awareness within them. 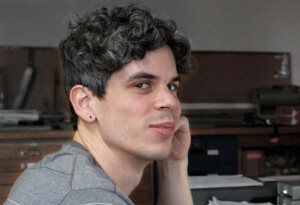 This fundamental intrigue has become the foundation for his creative work, concentrated on the understated aspects of our built environment and using art to highlight various relationships, within an everyday urban context — at the intersection of city agency, community engagement, and public access. This entry was posted in Environmental Art. Bookmark the permalink.